Today, April 12, is Equal Pay Day. As more households rely on women as the partial or primary breadwinner, what will happen when more men start to choose a family-friendly career path? Today, April 12, is Equal Pay Day, a day that symbolizes how much longer women would need to work to earn what men earn (two extra days per week and three extra months per year). According to the U.S. Census Bureau American Community Survey, women earn, on average, just 78.2 percent of what men earn. But despite the government data, there is still much confusion around the wage gap. You may have heard the $0.78 figure is inaccurate. That’s somewhat true. For women of color, the gap is even greater, with African American women earning approximately 67.5 percent of what men earn and Latina women earning just 57.7 percent. You may have heard the wage gap has closed and that women are actually out-earning men. Technically, it has narrowed—from 77.7 percent. That’s a whopping half a cent. And there is indeed a segment of the female population out-earning men. In some U.S. cities, single, childless women under the age of 30 earn more than men by up to 17 percent. But when those women have children, the wage gap gets complicated. Most likely you’ve heard the wage gap has nothing to do with discrimination and everything to do with choice. Those who opposed the Paycheck Fairness Act, a bill designed to strengthen the Lilly Ledbetter Fair Pay Act of 2009 and the Equal Pay Act of 1963 and that was shot down by the Senate this past November, say women make personal choices that lead to lower pay. They tell you that women choose to take time off to have families and if they return, that they choose the mommy track at work. And then they ask you, if women aren’t working as long and hard as men, why should they get paid the same amount? But while it may look like women are opting out of the rat race so they can take Junior to Gymboree, the reality is what might look like a choice is actually a compromise. American businesses have made it close to impossible for two working parents to balance, or even afford, work due to inadequate family-leave policies, cost-prohibitive child care, and too few sick days. And in every family, something’s got to give. Many women leave the workforce or reduce their hours because their husbands earn more than they do and it’s the only way they can manage the household. Which leads us to the other thing you may have heard about the gender wage gap. Perhaps you’ve heard you should care about fair pay for the sake of your daughters, your nieces, your grandchildren. Because nothing motivates a man to support women like making the world fair for his darling daughter, right? That’s sweet, but you should care about fair pay because it affects you in two ways. First, two-thirds of all U.S. households rely on a woman’s salary at least partially, and in one fifth of all marriages wives out-earn their husbands. When those female breadwinners bring home 23 percent less than their fair share of pay, the entire family suffers. Expenses like health care, grocery bills, and mortgage payments don’t discriminate based on gender. And second, as more households rely on women as the partial or primary breadwinner, what will happen when more men start to choose a family-friendly career path? Women know from experience that fighting gender discrimination of any kind in the workplace is potentially career-ending, risky business. But if men and women work together to change the policies that pit family against work, we can start to affect positive change. Both men and women have a vested interest in closing the gender-based wage gap. This week the Paycheck Fairness Act is expected to be reintroduced in Congress by Representative Rosa DeLauro and in the Senate by Senator Barbara Mikulsi. Support it—for your family and for you. Liz O’Donnell is the founder of Hello Ladies, named one of the top 100 websites for women by Forbes. Her byline has appeared in The Atlanta Journal Constitution, The Boston Globe Sunday Magazine, The Tampa Tribune, The Glass Hammer and Skirt!. This website is soooooooooo offensive to me as a man. The URL and “About” suggestion (intentionally in my opinion) make it sound like it’s a place where “typical” men can come together and have their voices heard. In reality, it’s a feminist-approved anti-male website littered with feminists and male Uncle Tom. It is the equivalent of a bunch of White Nationalists running a website called “The Good Black People Project”. Don’t women make 80% of all major purchasing decisions? Don’t advertisers market to women primarily because they know that’s who spends the bucks? Look any couples closet and I ‘ll bet the woman has significantly (an order of magnitude) more clothes/shoes/accesories than the man. Maybe we should make November 15 “equal spend day for men”. this would be the day that men are finally able to spend some of their own money on themselves. Actually I meant inconsistencies, not fallacies. I believe gender discrimination is a factor. Except that there’s one problem with that: the women doing this aren’t “taking time off”: they are moving from one paid job to another unpaid job. How much is that “free” childcare worth, Mark? It should be worth something, in dollars and cents, because if one partner wasn’t doing it, the other would need to take “time off” from their paid job to do it or hire someone to do it. Thaddeus, thats a false claim made in your rush. Its not an unpaid job, they are on a combined wage, and maternity and paternity leave is paid by their work. In Sweden they have a system where they can use each other leave, usually the mother use the fathers paternity leave as well as their own, the gender ideologues considered forcing the couples to make the “correct” decision about but decided better of it. Plus the stay at home has more rights over the property and the child. has the security of keeping the property despite the fact that she is NOT directly engaged with wage / tax work. To not take those facts into consideration and ignore the fact that the wage/tax worker can be dismissed on a whim can paint a misleading picture. Mark, no matter what neologism you want to place on it, having and raising a child is not “time off”: it is a job, pure and simple. Thank you! Employers act like female salaries are inferior to that of male salaries and think female salaries are used for frivolous things, like eating out. Well, women have families to support, too! but female breadwinners dont take home 23% less than male breadwinners, the wage gap is made up by women that live off the family wage, which is a combined wage so there isn’t really a gap at all. I think that we will see more workplace changes participate more with their children and are able to really weigh priorties of money/time. Men are understanding how conflicting it is to worry about the needs of a sick child and a staff meeting, a concern women have been dealing with for years. I think there will be a noticeable shift in the way we do business. I actually hope that it changes the way the economy works altogether. We can certainly find better ways to move money around than what we have going now. 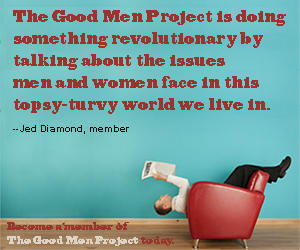 I think if men and women work together on work/life issues we will see positive changes. The difference in time is tiny. Men’s average day’s add up to 10.3 hours and women’s to 10.2, Men spend more time on labor market work, and women on home/family work. There is plenty of discussion about the need for women to negotiate starting wages and ask for raises. Many agree this is a factor in the wage gap. Still, there are systemic factors too. We never take into account non taxable income streams, the combined wage, alimony and child support represent a massive male to female cash and asset transfer that wage gap analysis does include. The refusal/failure of women to negotiate wages and raises is probably a systemic factor, if it derives from socialization. A person can decide to override his or her socialization, but it is a higher levle of difficulty form most other choices. Liz – all things that have costs also have benefits. What monetary value / benefit would you place on being closer, spending more time with, watching / being, with your chidren, as they grow? If we’re going to use a mathematical equation for comparison, we should include all the relevant costs and benefits. Though I don’t discuss this very topic with many retired people, my hunch is that any life regrets they may have, have little to do with the amount of hours / pay they spent / received working in a cubicle. I share your hunch – but I don’t see how this relates to the wage gap.Are you making a connection? This article doesn’t agree there is no direct gender pay discrimination. It merely addresses some of the commonly-heard arguments about the gap. Gender discrimination is a factor. And penalizing women for having children is part of that. Saying that penalizing *women* for having children is itself gender discrimination. It is also misleading; a man who makes the same choice will be penalized the same or perhaps even worse if his employer gives him less slack than he might to a woman for making the same chices. Speaking of which, it’s worth noting that prostitution isn’t included in most wage-related and work-injury related statistics. Probably coz it’s illegal, like drug dealing related shootings are not included right?